With refreshing honesty and keen biblical insight, John and Lisa Bevere examine eight common barriers that can separate you from God's presence. Learn how to break through those barriers that come between you and your heavenly Father. 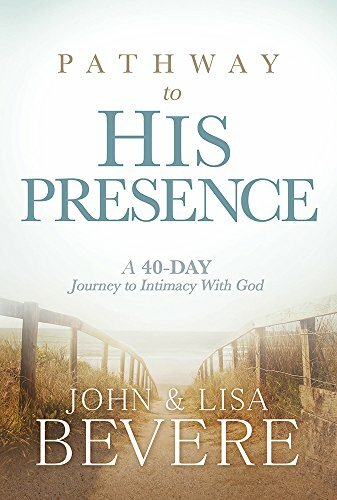 John and Lisa Bevere also show you how to break through to Him to enjoy new levels of intimacy. Each section, addressing a specific barrier, will bless you with five devotionals--complete with key spiritual strategies and specific prayers--designed to help you along the path that ultimately brings you before almighty God! Begin to move on the journey and see God move in your life. John and Lisa Bevere are recognized worldwide as best-selling authors and anointed ministers. John's books and messages, which have sold more than half a million copies, include The Bait of Satan, Breaking Intimidation, The Fear of the Lord,The Devil's Door and Thus Saith the Lord. Lisa is author of the best-selling books Out of Control and Loving It!, The True Measure of a Woman, and You Are Not What You Weigh. She is a frequent guest on Christian television and radio programs, and she is cohost of The Messenger television program, which broadcasts in more than two-hundred countries. Lisa and John love spending time with their four sons, daughter-in-law, and adorable grandbaby.